Growing up, I loved strawberry milk. As most kids loved chocolate milk, I leaned more on the strawberry milk. Heck, I even loved Franken Berry cereal, only to be done with the actual cereal and be left with the strawberry milk. Genius. So as our local farmer’s market has been selling these amazing strawberries, I decided to pick up a bunch of them and make something with them before my daughter ate all of them. Yes, that happened. When I bought my first quart of them, and went to the store to pick up a couple of ingredients, I returned only to find two of them left. I was flabbergasted. That being said, I made to secure the next bunch of freshly picked strawberries and asked if my daughter would like to help making some homemade strawberry milk, something she loved as well. Who knew? 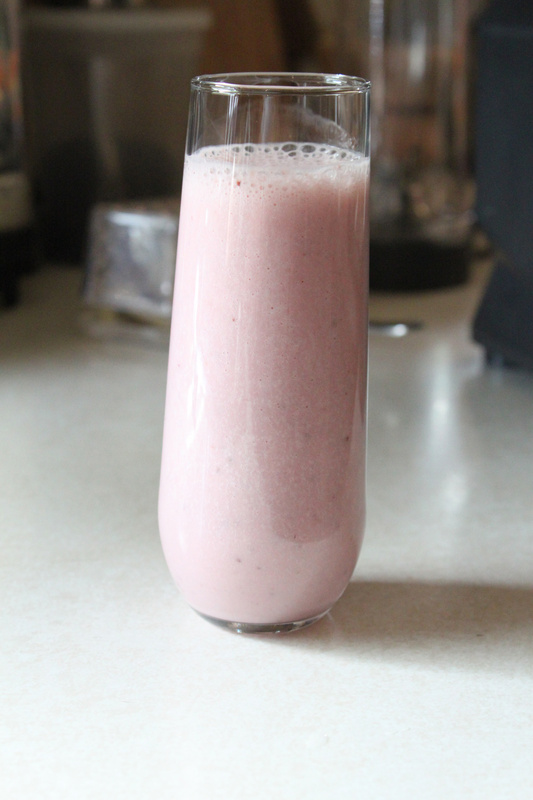 If you love store bought strawberry milk, you are going to love this one. Simple, easy, and delicious, plus you know what’s going into it. Start by adding everything to a blender, and blend until everything is nice and smooth. You do not want any strawberry chunks in your milk. If you do, more power to you, but I know my kids would not want anything to do with that. If you feel like straining your milk, feel free, to remove any small chunks of strawberries, but I have been using a Ninja blender, and that thing does amazing things to blend. Once blended, store in a pitcher, chill in the refrigerator, until nice and cold, then serve. For one, there is nothing like simple ingredients that make something so delicious, and two it is great to show your kids how things are made. This strawberry milk was perfect, and we pretty much had it done within a couple of days as it was that good. If you are looking for something simple and delicious, give this one a try. It’s awesome. Hope you enjoy! It just occurred to be that you could substitute homemade kefir for the buttermilk thereby sneaking in extra probiotics that “The Kid” will enjoy. Thanks for providing this great idea!